There’s a famous saying about the weather in spring: if you don’t like it, just wait five minutes. Of course, while it’s nice to know that a mere 300 seconds after being drenched by a monsoon you’ll be dried off by Sub-Saharan sunshine, it’s a less than ideal situation to dress for. Which makes getting your wardrobe in order all the more important. And that’s precisely why we’ve put together a list of stylish and wallet-friendly buys to ensure dressing from now until June is as stress-, soak- and sweat-free as possible. As the scion of its more structured forefather, an unlined blazer is a step down in formality. That doesn’t mean it compromises on style, though. Chief among its merits is flexibility: it can be dressed up or down as any smart-casual invitation dictates. A neutral shade will increase the mileage too, as does buying five at a time. But that’s just us. Like haircuts, different shades suit different face shapes. You don’t need to have tried (and failed) to rock a man bun to know that. 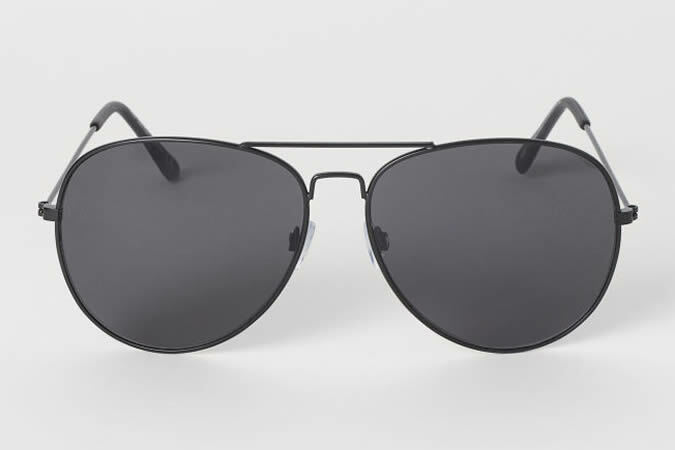 Fortunately, the menswear gods have gifted us mortals with classic styles of sunglasses – think fuss-free Wayfarers and Clubmasters, preferably in black or tortoiseshell – that offer a face-based upgrade to just about any head. Describing layering as an ‘art’ is no overstatement. And like any great painter, you’ll need the right tools to mimic the Johannes Huebls and Richard Bieduls of this world. 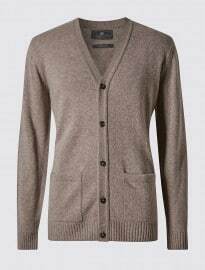 Enter the mid-weight cardigan. Inconspicuous enough to slot under a suit when a coat is overkill, but light enough to serve as a top layer when things heat up; opt for a neutral shade that’ll chime with other wardrobe staples. For further proof that your old man is menswear’s new muse, you only need to look as far this season’s crop of light wash jeans. Cut with a slim or relaxed leg, they make your skinny jeans look like some outdated form of groin torture. Opt for a pair with minimal detailing and wear them with simple canvas sneakers and other normcore staples to avoid premature ageing. 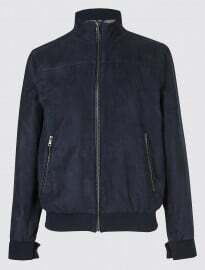 As every well-dressed adult will know, the suede jacket (as well as its more affordable faux suede brethren) is having something of a moment. Best described as a sartorial Swiss Army knife, bought in the right colour (we’re particularly fond of rich brown and biscuit shades), it can work over a shirt and tie for the office and with simple knitwear on the weekend. As a staple unaffected by seasonal change (both the weather and the runway), the Oxford shirt is a year-round building block that can serve smart looks, casual looks, and everything in that dreaded space between. The key ingredient is quality. Once you’ve found a well-fitting example in a weighty cotton, get one in every conceivable colour and be done with it. One adventurer’s tread is another man’s treasure. But that doesn’t mean you have to dress like Indiana Jones to wear desert boots. Defined by a soft suede upper and crepe rubber sole, this versatile kick is best worn in shades of dark brown and sand, which helpfully meld effortlessly with raw denim and neutral chinos. The spring months are notoriously indecisive weather-wise, which calls for layers that can be piled on and peeled off at a moment’s notice. Lightweight knitwear can add ballast without too much bulk, and if you buy one in a breathable fabric like merino, it’ll ensure you don’t overheat either. Neutral gear will always offer an easy ride when getting dressed in the morning, but some days call for a bit more colour. To brighten up without going full Chuckles The Clown, reach for one of this season’s washed-out hues and put it to work on a pair of slim-fitting chinos. Heavy on utilitarian design (clock the big, practical pockets and chunky button or snap-fastenings), a reassuringly sturdy chore jacket is this season’s hottest way to tap the workwear trend. Look for smarter styles that can take the place of a blazer or go for overdyed twill designs to nod to the garment’s outdoorsy heritage. Penny loafers are easily one most versatile footwear styles a man can own. But that’s not to say every iteration is worth your hard-won coins. Leather should be your first preference. Not only is it hard-wearing, but it’ll clinch the cost-per-wear ratio for years to come. Then, consider colour. While black will sit pretty with tailoring, alternative shades like oxblood or navy can be recruited for off-duty looks, too. Revise your approach to stripes this season by getting to grips with vertical lines. Think less burglar, more deck chair. On a shirt, go short-sleeved and Cuban collared or short-sleeved and an Oxford neck. Both will announce you as a menswear aficionado, not a hot and bothered IT technician. Started from the bottom, now it’s here. The Henley top may have begun life as an undergarment, but it’s now a bona fide wardrobe staple. When shopping for yours, keep an eye on fit. Too tight, and you’ll look like you had a fight with the washing machine (and lost); too loose, and you’ll do nothing to flatter what those dumbbell exercises gave you. Common thinking dictates that men value practicality above all else, especially when it comes to style. But, we challenge anyone not to desire the short pile pull of soft suede Derby shoes, even if they’re not all that great at dealing with rogue raindrops. If you’re not au fait with proper shoe maintenance, opt for a pair in black or dark blue; but if you’re handy with suede spray, brown or tan are rarely a bad choice. Much like a lot of what you’re probably wearing right now, the Nato strap watch started out as a piece of military kit. First issued in ‘Admiralty Grey’ and later in the colours of individual regiments, today this on-trend time teller is a must-own for style-conscious civilians. All that aside, the fact that the nylon fabric keeps your wrists sweat-free in the heat should be reason enough to strap one on for spring. Sure, the primary purpose of a belt is to keep you from unwittingly showcasing a builder’s bum, but on top of that, it can give lifeless looks a jolt of interest. This season, buckle yourself in with a woven style. It’ll keep waistbands where they should be, and has the added advantage of coming in a range of colours. Unlike a peacoat, the field jacket is one piece of military outerwear that won’t retreat when the barometer switches direction. A design that sticks close to the original (belted and finished with bellows pockets) is your one-way ticket to nailing that whole timeless men’s style thing. It’s all well and good spending the morning coiffing the perfect quiff, but if it’s going to get caught in a downpour, it’ll all be for nothing. Beat mother nature at her own game and chuck on a baseball cap. Bought in a textured fabric, this sporting hero is smart in more ways than one: equally capable of topping off a tie-less shirt and jacket combination or a simple hoodie. Polo shirts don’t do moderation: they either come in the brash ‘lads abroad’ variety or with a satisfyingly strong whiff of Dickie Greenleaf. To side with the latter, lose the buttons, swerve baby pink and instead look for an open collar design in a neutral colour that’ll slot effortlessly in with the rest of your rotation. It’s not hard to remember a time when the kind of guy who wore a rugby shirt to the pub (providing he didn’t actually partake in the sport) was also likely clad in bootcut jeans and pointed leather dress shoes. As ever, it’s all change in the fashion world. This season they’re a bonafide staple, best worn with mid-wash jeans for a retro look that’s a straight-up style try. Along with our underwear, socks are one of the first things we put on in the morning so don’t make them the afterthought they often are. If you plan on showing any ankle cleavage over the next few months, you’ll need some invisible socks that give the illusion without any stank arising from your shoes. Fresher than a muh’ sneakers are the ultimate go-with-anything footwear. But this season, chunky trainers are muscling in. To avoid going full hypebeast, cop a pair that packs minimalist colours into a bulky profile. Then simply park them underneath tailored trousers and throw on a sweatshirt to stay in safe territory. Being called an anorak is no longer devastating for your street cred because functional coats have finally had an overdue facelift. A narrowed profile and new colour-block designs have fast-tracked the windbreaker away from trainspotter territory while still holding on to all its performance abilities. Spring’s crop of logo sweatshirts is the perfect way to show off your brand allegiance with all the subtlety of a brick through a window. That’s not carte blanche to go full maximalist, though. Team your sweatshirt with a pared-back supporting cast to ensure that branding that takes centre stage. Designers losing their menswear-y minds over all things nineties is not something that’s going away anytime soon. Not that we’re complaining. It’s the perfect excuse to loosen up the fit of your denim jacket. Just go easy on the logos and rips – it’s not the actual nineties. Not every essential spring buy has to be an entirely new addition to your wardrobe. Take the white crew-neck T-shirt, a reliable partner for everything from pyjama bottoms to raw denim. Owing to the aluminium in your antiperspirant, it’s not uncommon for these to yellow from one season to the next. Start spring with a fresh batch (we recommend having at least three to hand) and rest easy knowing you’ve got the basis of most outfits sorted. Tailoring may have taken a backseat to souped-up sportswear recently, but this spring checked trousers are putting in a decent effort to help to smarten up guys’ wardrobes again. Whether you opt for a windowpane, Prince of Wales or glen plaid design, when it comes to fit make like Goldilocks and go for the middle with cuts that don’t trap your legs in a vice nor billow in the wind. And don’t be afraid to mix patterns. No matter what this spring unleashes, be prepared with a patch pocket overshirt. With enough room for everything and the kitchen sink, it’ll have your back covered figuratively and literally. 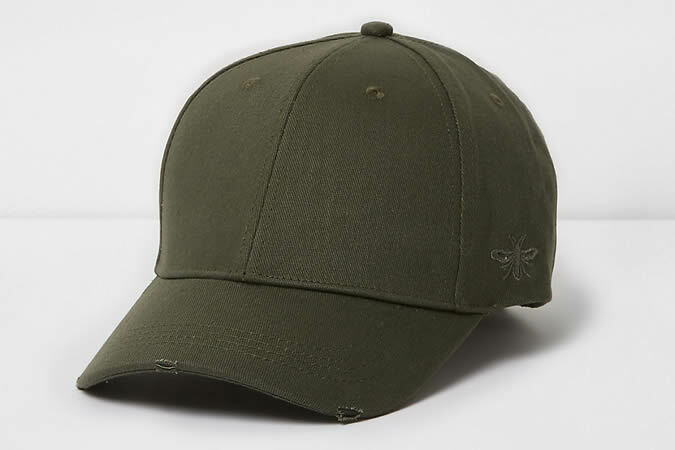 The fact that it looks good (particularly in shades of military green) is simply a bonus. Don’t fancy the hassle of weighing up a weekender or a manoeuvring a messenger bag? Strap up in some wearable luggage and get ready to sail through the season hands-free. A cross-body bag in a dark, neutral colourway can give a subtle streetwear lean to tailoring or opt for a punchy print to lift your transitional looks. It’s hard to imagine the trench coat as something born out of practicality, but before becoming a marker of classic spring style, this menswear hero earned its credentials as a mudguard on the front line. For maximum versatility, choose a design in a neutral colour then layer up with a hoodie or deploy it solo over a T-shirt when the weather’s looking more optimistic.